Chick-fil-A is one of the largest fast foods restaurant chains in the United States, known for its famous chicken sandwiches. Since its founding in 1946, the restaurant chain has been growing steadily, and today, it operates more than 2,200 restaurants across the United States and Canada. The success of Chick-fil-A can be attributed to its solid business model and business culture. Chick-fil-A understands the power of specialization. This is the reason why you’ll never find a burger on their menu. Instead, they know they make a top-notch chicken sandwich, which is why they have opted to create a culture around these chicken sandwiches. They have been doing the same thing for more than seventy years, and this consistency has been a major factor in their success. Although competitors can duplicate products, a strong culture of customer loyalty cannot be copied. 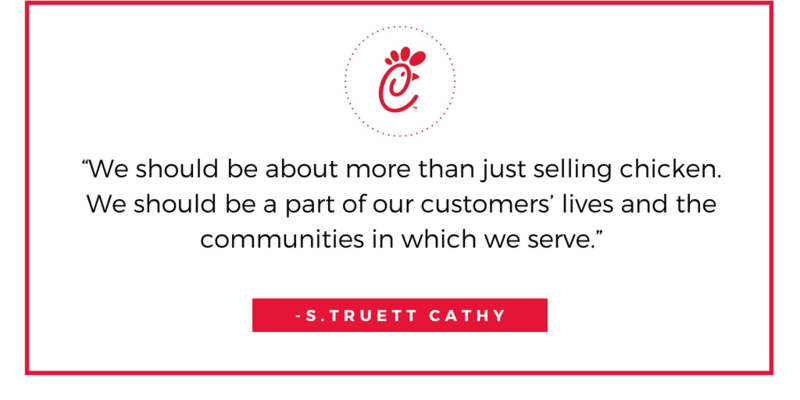 Chick-fil-A has managed to stay at the top of the industry by maintaining a strong customer culture. They strive to be part of their customers' lives and the communities in which they serve. This is a point that many small businesses miss; instead of focusing on their customers, they put more emphasis on products and competitors. Change tact and start paying more attention to your customers. Ensure that all customer concerns are addressed promptly and adequately. Always remember that customer loyalty is one of the ways to retain customers as well as attract new customers. Go to any Chick-fil-A restaurant and you will be amazed at how kind and effective their employees are for being a fast food restaurant. They have very motivated teams of professionals who are always ready to help and serve you with warmth and respect. This is because Chick-fil-A invests heavily in empowering their employees. Their employees are given the necessary training, fair compensation and the financial support they need to advance their education. Along with that, Chick-fil-A restaurants close on Sundays to ensure their employees get time to rest, be with their families and worship (if they chose to do so). For this reason it is not a surprise that these restaurants are able to attract such wonderful people! Constantly motivate, educate and listen to your employees. By having an empowered workforce, you can ensure that your customers and employees will remain happy and satisfied. Overall, it is apparent that although Chick-fil-A is an extremely large organization with many years of experience and market presence, there is a lot that small business owners can learn from its business model. By focusing on what your small business is good at, keeping your customers top priority, and empowering your employees, your small business will thrive. Make sure your website is healthy and ready to help your business grow! THE MOST SUCCESSFUL COMPANIES ARE MARKETING SMARTER, NOT HARDER.